Monster Cable is the industry leader in high quality and high performance audio video signal transfer cable. 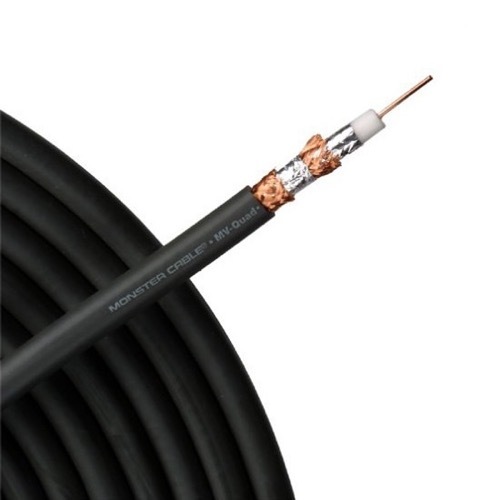 This coax is made with ultra flexible copper shielding. Monster Cable products are indispensable components for music lovers, audiophiles, recording studios, sound professionals, musicians, custom-installers and home theatre enthusiasts. Monster Cable is designed to handle today's high-end TV applications, but built with the vision of what tomorrow has to offer. Never be left wishing for more, use Monster Cable today for the performance you've been wanting for a lifetime!!! Please Note: It is recommended to use Monster Brand F connectors with this coaxial cable.